If you require medical advice or treatment outside of our opening times please ring NHS 111. 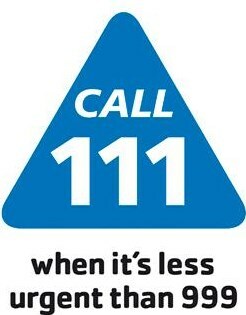 NHS 111 can be contacted 24 hours a day. The OOH service arranged is based on providing 2 additional GPs based at Scarborough and Malton Urgent Care Centres to undertake any face to face assessments and home visits as required following telephone triage. We will also provide 1 Nurse Practitioner to support the GP’s with telephone triage and face to face. This also includes all associated support staff and call handling services. Please note that the service provision is provided from 12.30pm until 18.30pm to all practices. The dedicated contact number for the GP practices to divert their telephones systems is confirmed as 0300 123 0762.